About Falls in the U.S.
More than 8.7 million people in the U.S. suffered injuries in unintentional falls in 2009. In the 1– 44 age group, unintentional injury is the leading cause of death nationwide. In the U.S., unintentional falls take the lives of more than 22,000 people per year. About one in four Americans injured in falls each year is over 65 years of age. Emergency rooms treat more than 2 million older Americans for fall-related injuries yearly. Of those fall victims, at least 582,000 require hospitalization for treatment of their fall-related injuries. Estimates put the cost of falls in the U.S. at more than $19 billion per year. South Florida has had a reputation as one of the nation’s leading areas for slip-and-fall lawsuits. In fact, an article on the naplesnews.com website confirmed that 40 claims had been lodged against that city over a six-year period. The Centers for Disease Control and Prevention reports that unintentional falls are the leading cause of injuries in the U.S. for every age group except 15 – 24-year-olds. In that group, falls rank second. In 2009, more than 8.7 million Americans suffered injuries in unintentional falls. Associates and Bruce L. Scheiner, Attorneys for the Injured, have experienced injury attorneys on staff at our offices in Fort Myers, Naples, Cape Coral, Port Charlotte, and Sebring. 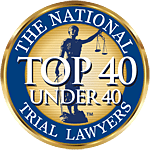 For 40 years, our firm has provided high quality legal services to the citizens of communities across Southwest Florida and we are pleased to be their firm of choice when injuries demand an attorney with indisputable knowledge and proven legal skills. Our experience in premises liability cases makes our firm a leading choice for able representation of slip-and-fall claims. Slip-and-fall injuries can be severe. In cases where victims strike their heads, death can result. Our firm understands how to examine the circumstances of slip-and-fall injuries, and we know how to build a strong case designed to pursue compensation for the harm that you’ve suffered. Centers for Disease Control and Prevention research tells us that falls are the leading cause of traumatic brain injuries. In recent years nearly half of fatal falls produced traumatic brain injuries. These are serious injuries that can leave victims with brain damage and other severely life-altering outcomes. When you’ve suffered injuries in a fall, you’ll want the peace of mind that comes from knowing the attorneys you’ve chosen are known for their record of success and their negotiation and litigation skills. Naples, Cape Coral and Fort Myers personal injury and wrongful death lawyers at Associates and Bruce L. Scheiner, Attorneys for the Injured, have proven themselves to be vigorous defenders of clients’ rights, both in and out of the courtroom. We aren’t afraid to challenge property owners who fail to maintain safe conditions on their premises or their insurance companies who want to avoid liability for your injuries or for the loss of life attributed to a fall. If you’ve fallen and sustained injuries or lost a loved one because of a slip-and-fall accident, call our firm and ask for a free evaluation of your case. Associates and Bruce L. Scheiner is the family firm that Southwest Floridians trust when they need excellence in legal representation. If we don’t recover monetary damages for you, then you pay us no fees.